Firstly, I am actually a little proud of what my hands have produced over the years. Secondly, as almost all of my sculptures and other works are together in this book. Slowly but surely this book has become many pages. However large the book has become, the enjoyable thing is what I recall with every piece of work created. Not only when the piece was made, but why it was made and the founding passion. There is almost always movement depicted in my work, thereby captured in art form. I always wanted to stay true to myself; creating things alone, not delegating things to others as then a work would no longer be mine. However, I have also very much enjoyed creating commissions. Talking to people, listening to their visions and opinions and then letting them share the joy and excitement of a sculpture being conceived. 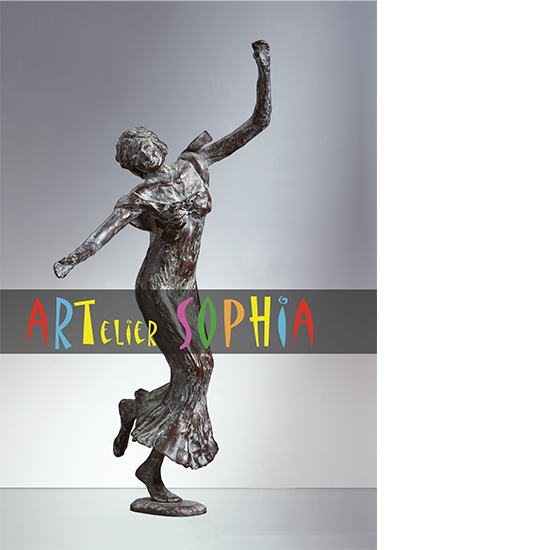 This books shows the sculptures that Sophia made throughout the years.